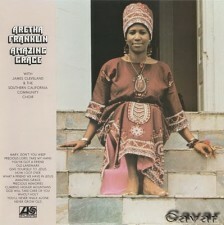 Few people know that Aretha Franklin’s 1972 album “Amazing Grace” was her biggest-selling ever. And even fewer people know that Sydney Pollack — yes, that Sydney Pollack: “Tootsie,” “They Shoot Horses,” and “I had a farm in Africa” — shot a documentary during the album’s making. And now that footage is being edited into a concert film. Can’t wait.